Reverse Bundling – Will That Change India’s Handset & 3G Ecosystem? In recent time BSNL and MTNL, the state owned opeator duo have entered into several reverse bundling agreements with many device manufacturers. This is quite different approach, as many operators like MTS and Idea Cellular are bundling offers with their own branded device line up. It can be noted that BSNL and MTNL both are in this approach from the very first, since the 3G sets in. BSNL has entered into reverse bundling agreements with different vendors – Micromaxc, Linkwell (VisionTek), Seuji ASPL (SkyNet 3G), Teracom and Shyam Network (Winknet) for 3G data cards; Magicon for 2G handsets; Pantel and Wishtel for tablets; Linkwell (VisionTek) and Shyam Network (Winknet) for 3G routers. In this approach the vendors adds BSNL SIM with the device and with the activation BSNL offers some free goodies, say free some data or talktime. Airtel, Aircel, Vodafone, Reliance and Tata Docomo – almost all operators are offering voice and data bundles when a customer buys a specific handsets and activates his/her mobile number on their networks. In US or Europe conventional bundling model works good, as the operators there offer the device at a heavy discount with 2 year long postpaid plans. The operators can offer subsidy as ARPU there is not low as in India and there is generally no breach of contract as the operators store the customers’ credit card details for auto payment at the end of the month. In India majority of customers are prepaid, so operators have to change the bundling model – you buy a device from the list and activate your mobile number to get free goodies. There is no discount on phone price but you will get free talktime and data. In recent deals you can see every operators are adding data on the offers. As I told earlier MTS has brought MTag brand for their high speed internet access devices (smartphones and tablets) – MTS is selling devices from Huawei, ZTE, Alcatel, Lava, Coolpad under MTag brand at discounted price and adds some free data and talktime. This model is good considering MTS is offering services on CDMA platform which is loosing its shine in India. 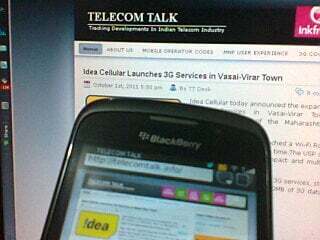 But Idea Cellular is also doing the same but it is good. Among the roadblocks behind poor 3G uptake one is price of 3G devices. In case the 3G handsets come down to Rs 3000 it can work well, but with that operator has to lure the subscribers to stay on its network adding 3G data (at least 1GB) for 1 year for free or at a nominal charge. As 4G is coming, conventional bundling is seemed to the logical answer. India’s 4G will be LTE-TDD on 2300MHz, something is new to LTE-FDD on 700/800/1800-1900 MHz. So to see faster uptake of 4G operators must set the goal in a long term – devices must be offered at a discounted price. RIL Infotel is rumored to be entered into various vendors including Notion Ink (Adam tablet maker), we can probably see wide range of devices supporting Infotel’s 4G/LTE-TDD network. What do you think bundling (in reverse or conventional) will make the handset and 3G/4G ecosystem stronger? Drop comments! BSNL 3g is faster than that of any other operator provided there is signal in your area.